Forza Horizon 3 Playseat Car Pack is coming tomorrow. The new Playseat Car Pack will bring seven new vehicles. The list of cars begins appropriately with one of the favorite cars of an Aussie racing legend, Pete Brock’s 1985 HDT VK Commodore Group A. The pack also features Cadillac’s latest high-performance coupe, the 2016 Cadillac ATS-V, plus Aston Martin’s new DB11, two Honda models and more. 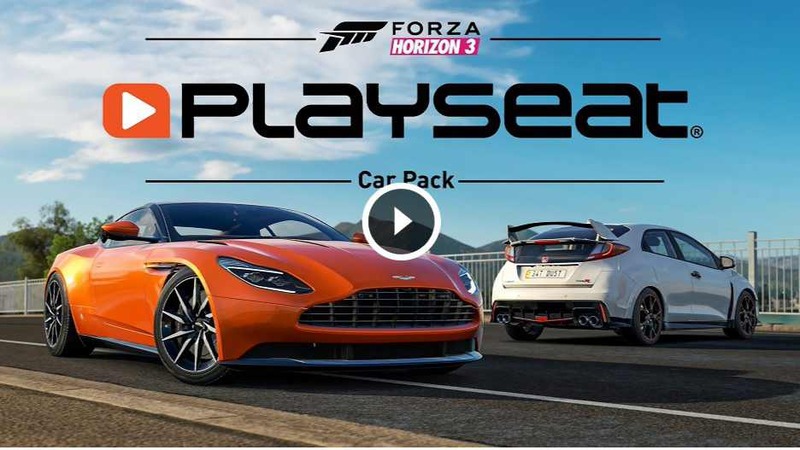 The Playseat Car Pack is included in the Forza Horizon 3 Car Pass, which is available for separate purchase or as part of the Forza Horizon 3 Ultimate Edition. All the cars in this pack are also compatible with the first Forza Horizon 3 expansion, Blizzard Mountain, which is available as part of the Forza Horizon 3 Expansion Pass or as a standalone purchase. Also, the Xbox One S Forza Horizon 3 Bundle (1TB) is available online now and at select U.S. retailers for $349.99 USD. Additionally, the Xbox One S Forza Horizon 3 Bundle (500GB) will also be available beginning tomorrow for $299.99 USD.